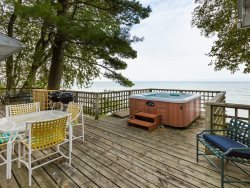 Please call Shores for pricing on additional nights beyond the 7 day minimum. Additional nights will not automatically calculate. Unfortunately there are no exceptions to the 7 day minimum. Team was great. Did I have a deposit down for damage which should be refunded? Let me know if they fix the condo up and would rent next year. It was a very pleasant and memorable experience. The team was very helpful, courteous. Emails keeping me updated very helpful. Had a fabulous stay at the bent tree. A good time was had by all. I did everything on line, but they responded to me right away. When I called about the faucet, she was very courteous and was going to fix the problem right away. We enjoyed it, very clean which is very important. Love staying at Bent Tree, I think this was our 6th year there, in different condos. We need a certain type property to meet our needs and the staff was very helpful in helping us. we had some maintenance needs to the property while we were there and the staff helped get the problems taken care of right away. As I said, we love the view and the beach and the pool. The property itself is ok but still needs more upgrades for the price. Some new flooring was put in from the previous year we stayed and that was a nice improvement. Really enjoyed our stay. Looking forward to next year! All communications were over the web - had no issues. Website can be confusing as to Fri/Fri versus Sat/Sat. Search Sat/Sat and the feedback indicates both Fri/Fri and Sat/Sat on the same confirmation page. Have stayed at Harbors and Cannery Row as well as Bent Tree in the past. Love being able to sit in living room and look over the lake and beach at Bent Tree. we had a good week. The condo just wasn't very nice. Thanks Condo Update June 2016 We are happy to report that the condo has been given some tender loving care in the form of new furnishings, new carpet, new wood flooring, new bed linens and towels, the addition of deck furniture. Now the condo is as great as the location. Come see us! Your team was very helpful and professional and friendly when making the reservation and answering my questions. I did stop by your office and asked when the tennis court would be available, but no one had an answer, or even knew the courts were closed. There was no follow-up call either. We loved the location and view. The unit itself was disappointing and I have already sent an e-mail regarding the specific issues we experienced with the condo. In the future, I would want to personally view/inspect any of your properties, before placing a reservation. I would return to South Haven in a heartbeat. Your city/community is wonderful. I would also return to Bent Tree, but not unit 16. Condo Update. June 2016. We are happy to report that the condo has been given some tender loving care in the form of new furnishings, new carpet, new wood flooring, new bed linens and towels, the addition of deck furniture. Now the condo is as great as the location. Come see us!